Martin von Haller Groenbaek is a Copenhagen-based lawyer specialised in IT-law, working with tech startups, and an expert on open source. 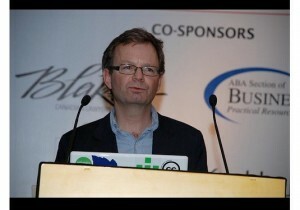 He is recognised for his solid legal skills and as an innovative thought leader and strategist within the IT industry. Martin is a partner in Bird & Bird, an international leading law firm in business sectors where technology plays a key role, and member of the firm’s Danish and international Tech and Comms Group. He is one of Denmark’s leading IT lawyers with almost 20 years’ experience of advising Danish and international organisations, including large blue chip companies, on legal and commercial matters in connection with IT in a wide sense. He is considered a pioneer with respect to the legal aspects of Online Technology Solutions (eCommerce, Internet and web services), Cyber and IT security. 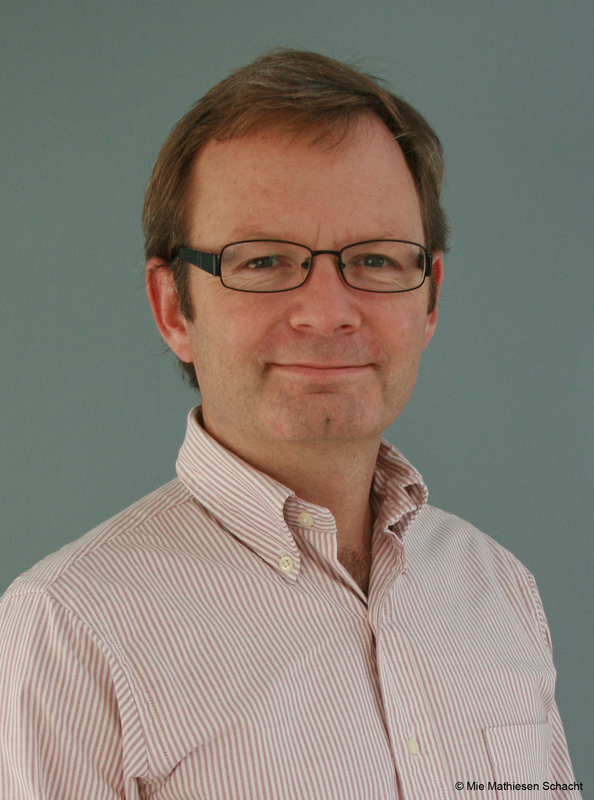 He was a co-founder of the Danish E-commerce Association (FDIH). Since 2000, he has been working with strategic and legal issues related to open source software, creative commons (open content), open data, open APIs and open business. He was a co-founder and of chairman of Danish Open Source Vendors Association and he is currently Legal and Public Project Lead for Creative Commons Danish chapter. services providers, in over 100 countries, mentions Martin as “a go-to expert on open source and creative commons” in its The Legal 500 2011: Europe, Middle East & Africa edition. Martin advises technology start-ups and SMEs within the IT and media sectors on fundraising, M&A and transactions, corporate matters and more general commercial contracts. 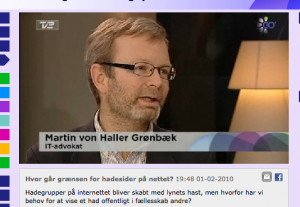 Martin was the founder of the Danish chapter of First Tuesday, one of the first international Internet entrepreneurs networks. He has subsequently been a part of almost any Danish startup network initiative. He is co-creator of CPHFTW, a grass-roots and non-profit organization representing and working for the tech startups in Denmark and the Öresund Region, and member of the CPHFTW foundation. Martin is a co-founder of Nordic Makers, a collective of Nordic business angels that founded and built great companies that invest in early stage companies on founder-friendly terms. Martin has dedicated lots of time and energy to work with IT policy in different settings. He was a co-founder of the Danish Internet Society Chapter and he has been sitting on board of numerous public committees and councils such as the Danish Internet Forum and DK-Hostmaster A/S. He served as a member of the Danish IT-Security Committee, personally appointed by the Danish Minister of Science. Martin has extensive business experience from serving on numerous board of directors, often as chairman, of small- and medium sized IT companies, among these Jubii, GoViral, Mondo and E*Trade DK. He currently chairs the board of Saxo.com, the largest online bookstore in Denmark. He lives in Admiral Gjeddes Gaard, a historical building in the old center of Copenhagen, with his wife Jeanne von Haller Grønbæk, and their two sons, Vilhelm and Jens. Martin’s full CV is available here.